Baseball games are usually calm, deliberative affairs. 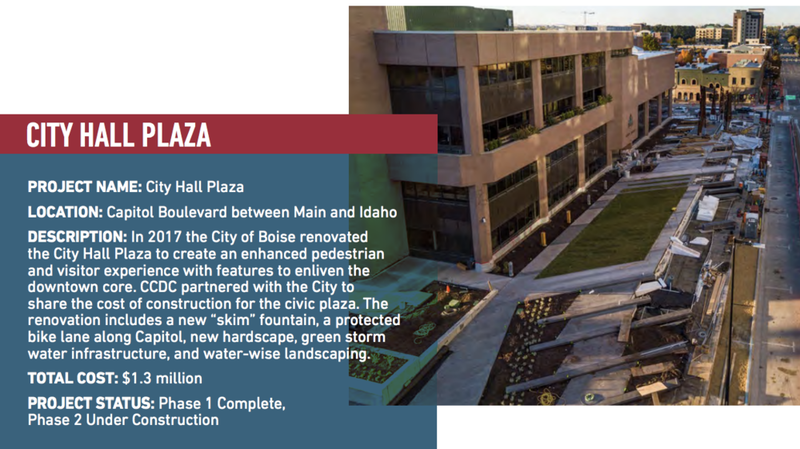 The first step in the process to build a stadium in Downtown Boise was anything but. A crowd of several dozen people met with a single representative of Greenstone Properties Tuesday night, stirred up by Concerned Boise Taxpayers and others. According to video posted by the Idaho Statesman, the crowd was heated and fired up - going many-on-one with Geoff Wardle of Spink Butler which is representing Greenstone. (Editor's note: I wasn't able to attend since I'm currently working at Stanford. The account below is based upon the Statesman video). One man shouted his frustration from just a few feet away. 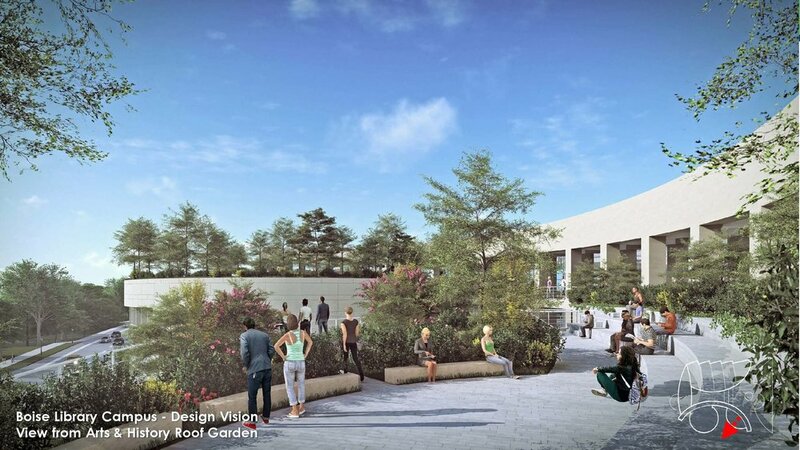 "They've got a library that is waiting on $20 million of philanthropic funds to build it. 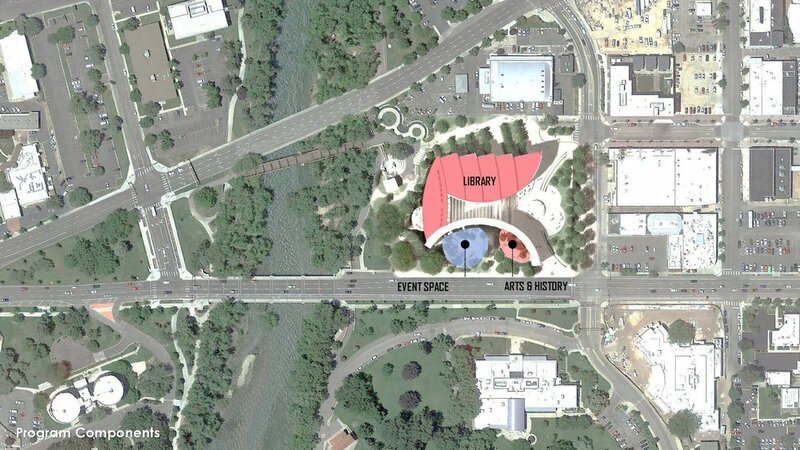 You're going to build a stinking baseball stadium before you build a library? You don't give a damn!" "I'd like to make the point that the traffic is already -- herr -- I can't even describe what it's like. You're going to get people going up Americana..." one woman yelled, while another woman drowned her out "in a single lane!" The Greenstone rep responded calmly. "First of all, there are multiple access points out of this neighborhood..." which was quickly drowned out by boos and jeers from the crowd. Many in the crowd asked why Boise Mayor Dave Bieter was not in attendance, which may show a misunderstanding of the meeting from those in attendance. Wardle again responded by noting this is just a neighborhood meeting. The mayor isn't traditionally present at these types of meetings. Many questions went unanswered as the crowd shouted over Wardle. One resident calmly asked why the College of Western Idaho site that was considered for a time couldn't be used. Wardle wasn't able to answer more than a few words before being shouted down. "CWI owns it and controls it. We explored..." And that's where it ended before Wardle was yelled at. Resident: "Are you able to answer the question of why here. Why in the middle of the city? Another resident: "Congestion, traffic... "
Wardle: "Why don't we want a vibrant city?" Third resident: "It's not a big enough city!" And then, again the crowd devolved into boos and groans. Wardle tried to press on. "Why don't we want a vibrant downtown with proximity to the Greenbelt." Fourth resident: "We have a vibrant downtown." The crowd asked a laundry list of questions. Wanting to know why other sites were not considered. Worried about folks parking on the rim. And more. "Baseball attendance is dropping like a rock. And no one cares about soccer." Wardle: “Hawks baseball attendance is up 25% over the past five years. USL soccer is drawing between five- and ten-thousand fans for each site it currently has." "How much money are you going to be making personally off of our property tax dollars being increased for a project that no one wants here. Wardle: "Zero. I'm the attorney for the developer..."
The crowd again shouted him down. 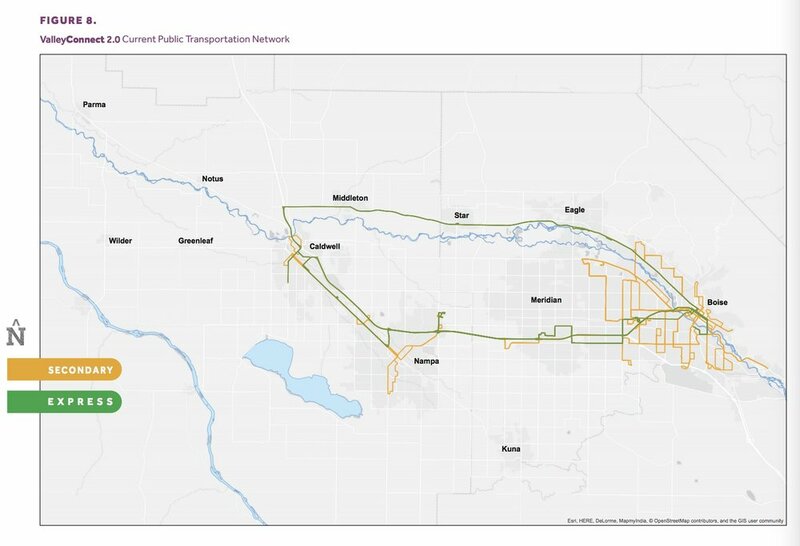 When folks asked about the lack of transit options, Wardle said he hoped residents in attendance would advocate for better bus and transit options. "I'm not fighting city hall for you," a woman replied. 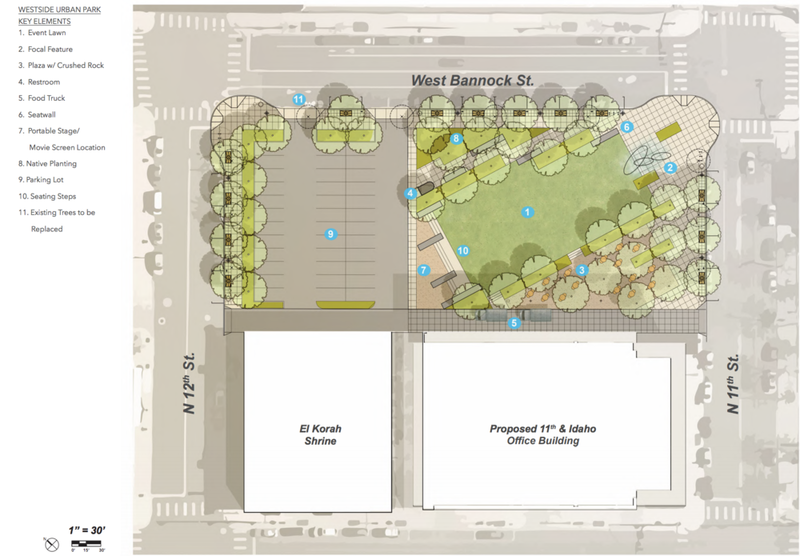 The next step for Greenstone if it decides to move forward will be to appear in front of Boise's Planning and Zoning Commission. This field will soon be home to a bike skills park. Photo courtesy City of Boise. 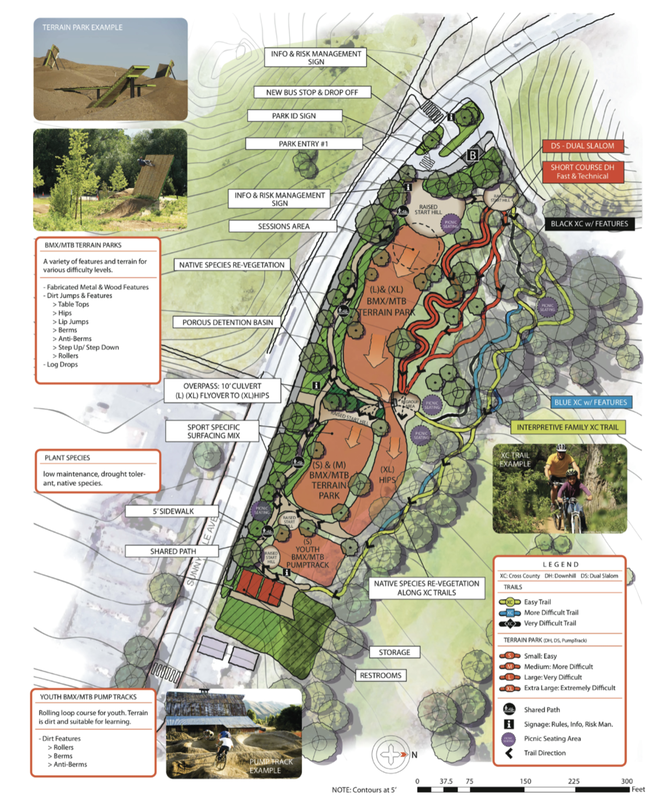 A new bike skills park is headed for the area near Fort Boise Park. 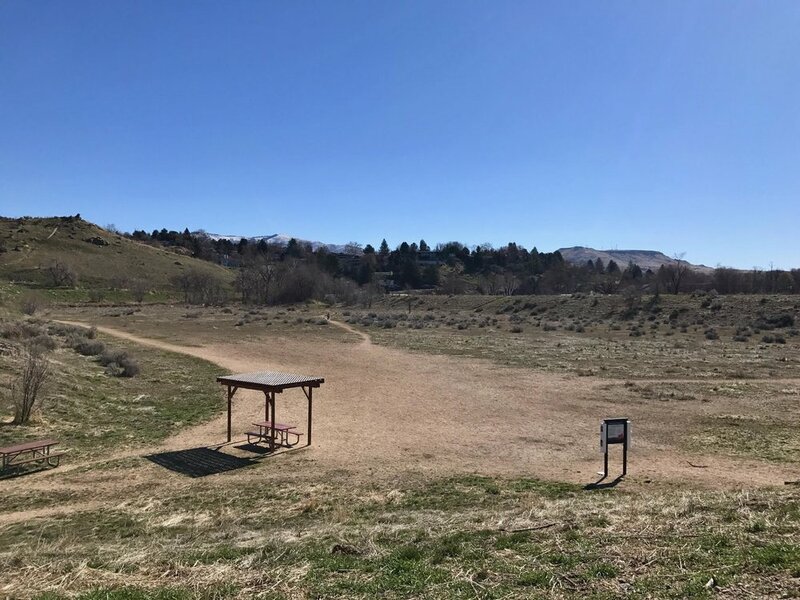 The City of Boise and the JA & Kathryn Albertson Family Foundation will team up on the new recreation site, to be located between Fort Boise Park & Military Reserve. A news release from the city says the park will feature "tracks, rollers and other skills elements for mountain bikes of all ages and abilities to learn and improve their skills." The final design is still being worked out, but a plan like the McLaren Bike Park in San Francisco is envisioned. 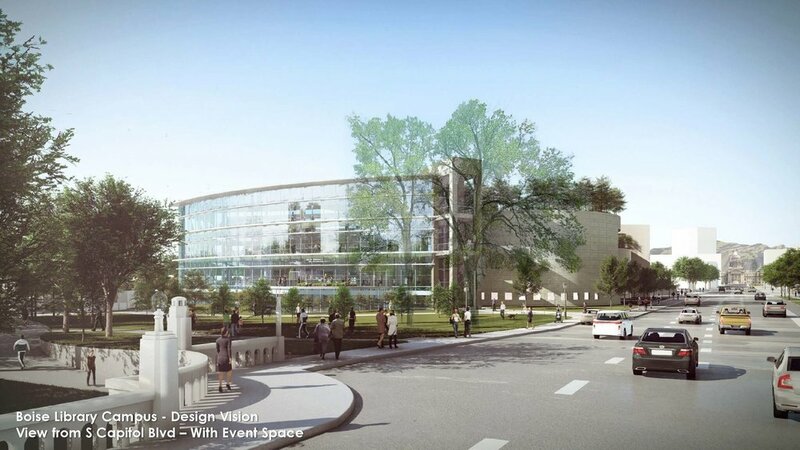 The Boise City Council approved the agreement Tuesday, but a construction start date has not yet been set. A public meeting is set for April 4 at 5:30pm at the senior center at Fort Boise to answer questions about the park. A second large park in Boise’s Barber Valley is beginning to take shape. The Boise Department of Parks and Recreation is set to hold a neighborhood meeting on January 17th for the 20 acre park along the Boise River near Eckert Rd. The park plan currently calls for baseball fields, basketball courts, volleyball nets, "picnic pods," and parking. It is envisioned as a more sports-oriented park than the nearby Marianne Williams Park which is dedicated primarily to open space and trails. 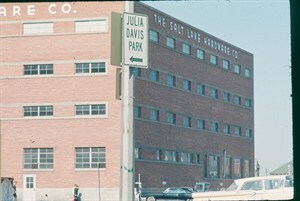 The newest park would be named for Alta Harris. A neighborhood meeting is set for January 17th at 5:30pm at the Library at Bown Crossing. This story came from the BoiseDev Facebook group - join the community! When the extensive remodel and rebuild of the Idaho State Historical Museum is complete, you might not recognize the place - or its name. 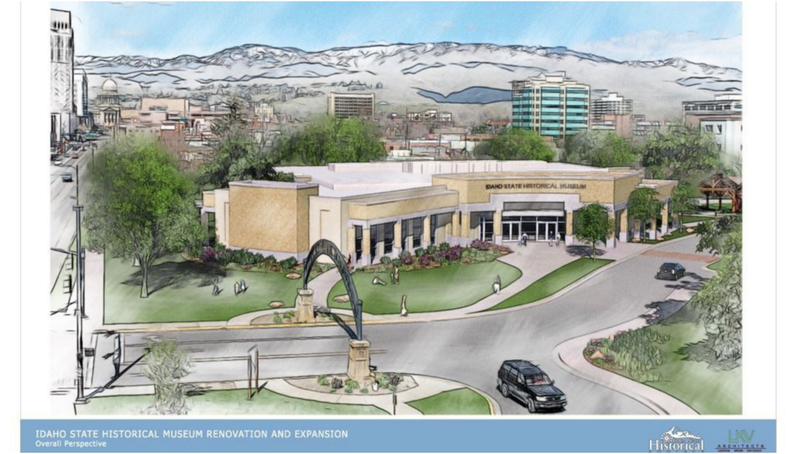 Acting on the suggestion of a consultant, the Idaho State Historical Society will rename the renovated facility in Julia Davis Park as the Idaho State Museum. "Eliminate the term ‘historical’ as no longer adequate to convey what the new museum will be about," the report notes about the change in name. It also says the term "historical society" is "increasingly perceived as elitist and antiquated." The building closed in 2014, with remodel work beginning in 2016. It is slated for a May, 2018 opening. The museum will also nearly double the rate it charges for admission - from $5 to $10 for adults, and from $3 to $8 for students. The museum's business plan says the higher-quality museum justifies the increased rate, and also says "free or low cost admission would be unfair to other museums and related institutions in the Julia Davis Park area and in Boise generally because the ISM will continue to have access to state operating funds not available to most other museums and related institutions." Other plans include museum facility rental for events, a "major exhibit" every three years, and an increase in paid staff at the museum. Read the full business plan here. 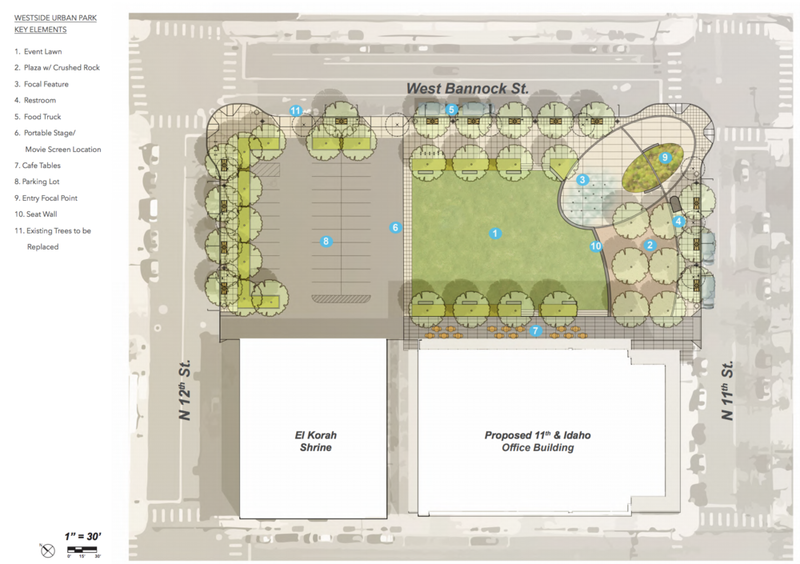 The park would be located on the same block as the El Korah Shrine - just south of the Boise Plaza building on Bannock Street between 11th and 12th. The land is set to be donated by longtime developer Rafanelli & Nahas - and would be funded in part by the City of Boise with CCDC managing the construction and design process. 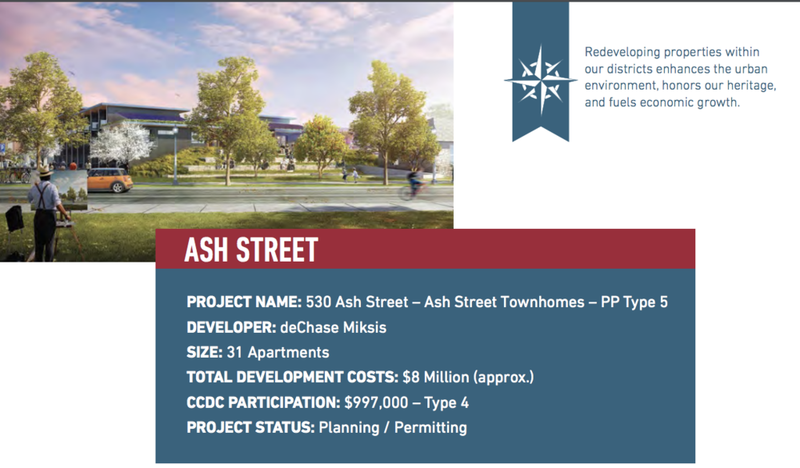 The project is budgeted for $2.5 million - but the initial plan is estimated to cost north of $4 million, according to the request for qualifications document. 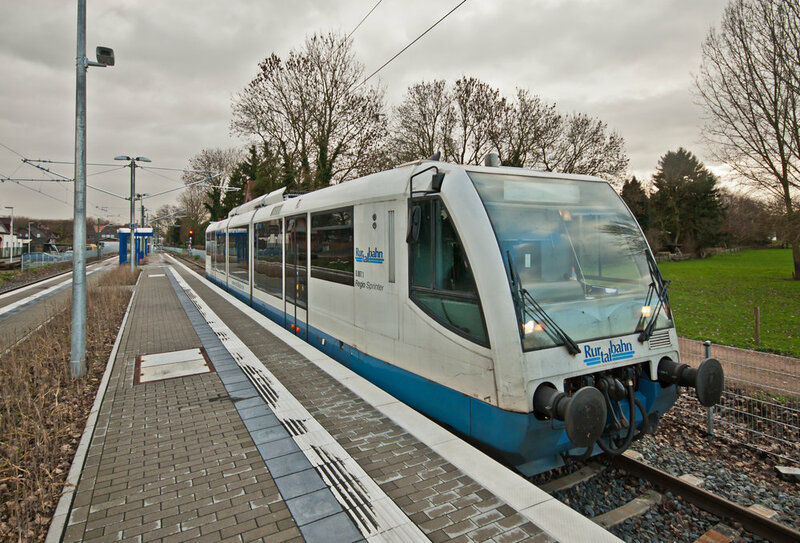 The project will be pared down to meet the lower budgeted amount. 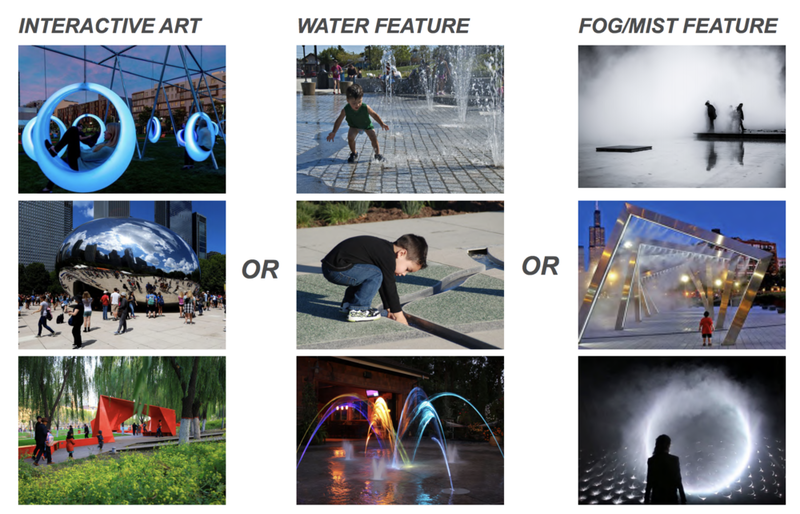 Envisioned elements for the park include landscaping, a mist fountain, play features, public restroom, "high end furnishings," seat walls, vehicular parking and more - but some of these ideas could be cut to meet the budget. 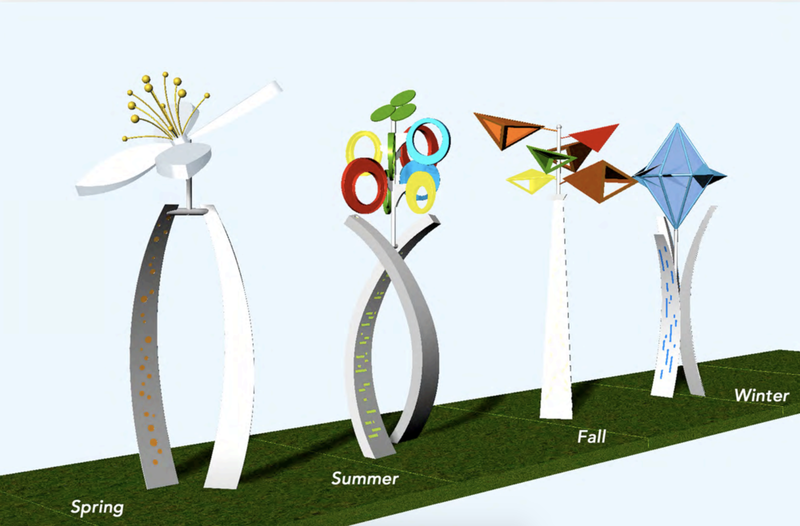 Correspondence this summer between Boise City Council member and CCDC board member Scot Ludwig and Greenstone Properties CEO Chris Schoen indicates the idea to "rebrand" the team is in the works. Ludwig pitched names like the Boise Chukars, Boise Rapids, Boise Rocks -- and even Boise Sheepherders. "Oh there were about 30 that the Mayor and I came up with. As you can imagine he liked the Sheepherders.....lol"
"There is already an Idaho Falls Chuckars (sic). Rapids!!!!!" Schoen appeared to acknowledge the rebranding process and liked one of Ludwig's ideas. "Rapids will be in the running!," he wrote. "The Boise Rocks is pretty good too (we're the Rockies affiliate). Keep thinking!" "We have had minimal discussion on that but it's been a few years," he said. "If and that's IF the club rebrands it would involve our fans involvement and not through an email. Those names don't seem like strong candidates." "Ultimately the soccer team needs to be named and colors chosen. That's a lot of new branding if you throw in the Hawks." "Any and all branding will include the most important voices: the fans/supporters." 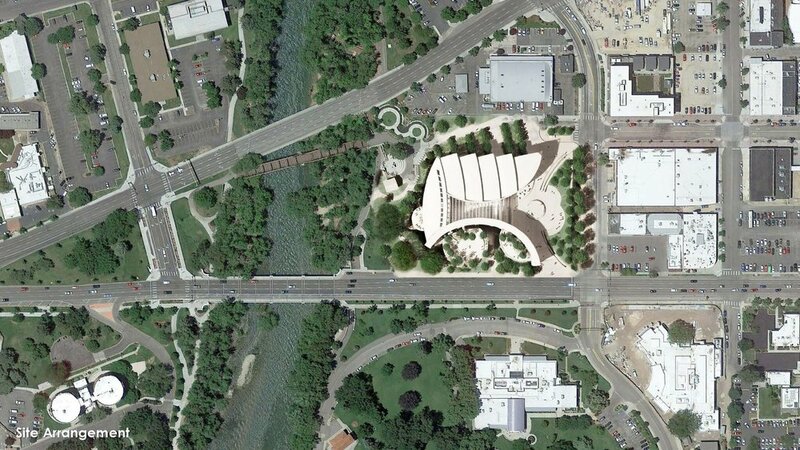 The Wassmuth Center for Human Rights has applied to add a new outdoor learning pavilion to the existing Anne Frank Human Rights Memorial along the Boise Greenbelt at 8th St. 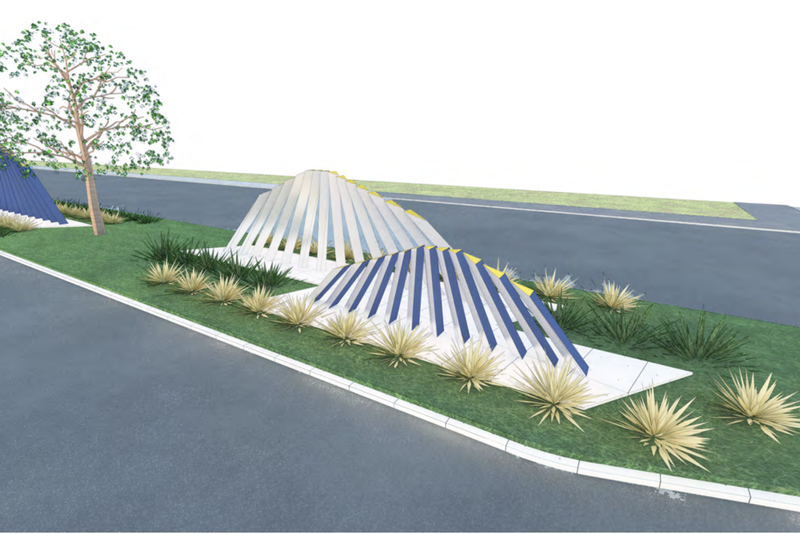 The new 940 square foot pavilion would add a covered space to the now fully exposed memorial. The shelter is part of a capital campaign that is nearing its goal, which would also include: "New human rights quotations inscribed throughout, a tribute to the late human rights advocate, Marilyn Shuler, and a new outdoor kiosk with short videos on the history of human rights in Idaho." Boise Mayor Dave Bieter hopes a stadium will be built in his downtown. In the past ten days, in coordination with public agencies in which he has control or large influence, a carefully laid out plan has rolled out to sell it to the public. First, a carefully pitched story in the Statesman. Next, a jolly public hearing. Then, a Facebook post on the City’s public page (followed by misleading information, more on that in a moment). On Thursday, a quick window of public feedback. 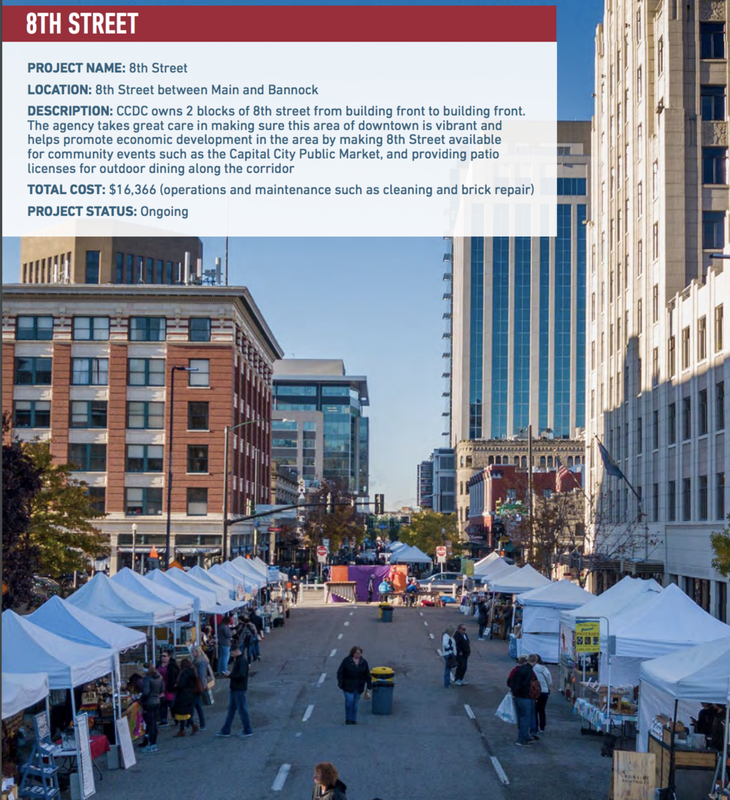 It follows a pattern I've observed over the past year for projects that include the City of Boise, Capital City Development Corporation, Greater Boise Auditorium District and others. Leaders toil very quietly for months - working hard to keep their work from public view. When the time is right, they uncork the plan and move as swiftly as possible. Public feedback is generally nominal - and sometimes later presented in a misleading way. In a diminished media era with little to no scrutiny on City Hall and related agencies - it’s more straightforward than ever to move forward a preset agenda. Public leaders do everything they can to avoid scrutiny before they are ready. As readers of BoiseDev know, many stories and scoops are borne from public records. In fact, most are. I don't get a ton of access. In fact, I get the distinct impression some folks wish they didn't have to deal with the scrutiny. Sometimes emails go without response. I've been derisively called "our friend Don" in interagency emails, and had emails go back and forth with code like "DD" and "a local journalist" so the public records are harder to find. I've also observed evidence that officials are using their private emails to conduct public business. That's all a bit agitating at times - but it's an easy reminder that journalists work for their readers and not for public officials whose salaries are paid with tax dollars. After our initial story on the stadium last February, a member of the CCDC board and Boise City Council, Scot Ludwig, went to a another news outlet with full details on the stadium. The move startled folks with both of those agencies - with a flurry of emails traded back-and-forth essentially saying "it wasn't us." It also surprised the developer - who told me at the time he wasn't expecting the story. 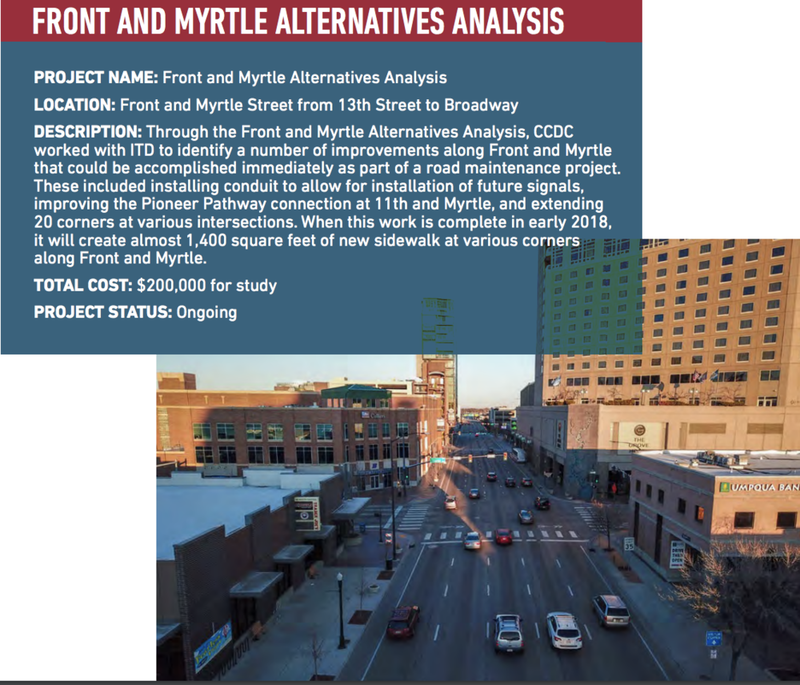 I had inquired about the stadium, requested documents and been given very little information - due in part perhaps to coverage of the Boise streetcar and other municipal issues that took a more critical look than is often found elsewhere. Two sources with knowledge of the situation say the story was rushed to another reporter because they were fearful of a more critical dig into the issue. Extensive public records requests this year show public officials work to shield things from view, or decide how to frame them. When I began looking at a hush hush closed-door meeting with top business leaders on the stadium last month, I was not provided with documents but instead had to ask for them in a formal request. The City, by state law, can delay handing them out for up to ten days. The document existed and would have been an easy email forward. But by working the mechanics of the process, they were able to keep the public in the dark until they were ready to run their plan. Back to that Facebook post. Several commentors noted they weren't happy that tax dollars were being used. The City of Boise official account noted "there will be zero impact on personal taxes." After I commented pointing this out -- noting that the $3 million comes from the City of Boise General Fund - an account which is made up of tax collections, the City backtracked. "Don and David, our apologies if we came across misleading. 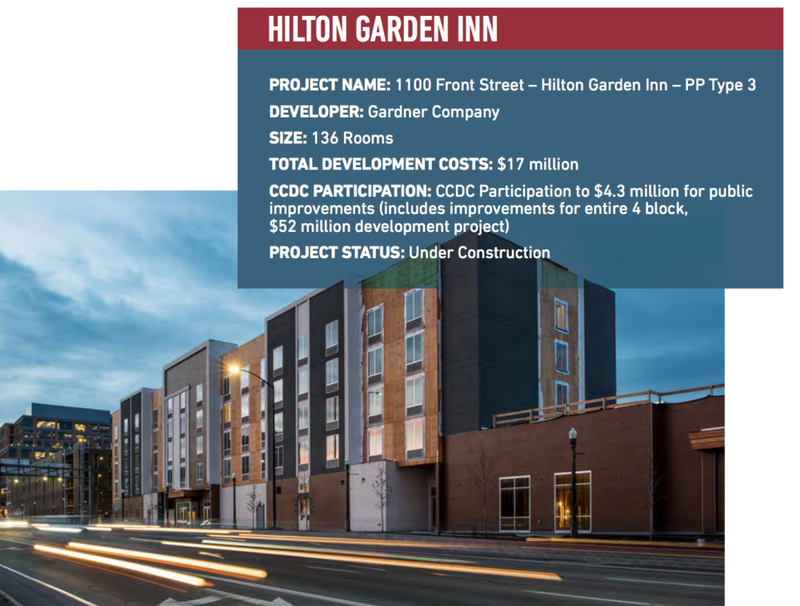 Yes, the $3 million is from the general fund which does come from tax payer dollars, however, your taxes will not see an increase for this project." Citizens will have to make up their own mind if public tax dollars should be used for a private development. But the only way this can happen is if leaders are forthcoming and honest. There are many additional angles to the Boise Stadium story that deserve public scrutiny. There is a significant opposition group that is forming - and though its motives aren't fully clear, they appear ready to dig in and fight at a level perhaps unseen in local government in a while. Edited to remove a couple of paragraphs that may have caused confusion. Crews are working to install a new jet bridge at the Boise Airport. The c-concourse of the airport has traditionally been used for ground-loading only via a pair of breezeways out on to the airport's tarmac - with many Alaska Airlines flights being loaded via stairs. "With the overall increase in air service, there has been an increased demand for gate space with a jet bridge," airport marketing manager Sean Briggs said. Alaska has added a Boeing 737 one one of its flights each day from Boise to Seattle, in place of the traditional, smaller Bombardier aircraft it flies out of Boise. "This jet bridge will give the airport more flexibility when dealing with larger aircraft," Briggs said. "It will primarily be used for Alaska’s mainline service, however can be utilized by other airlines, large charter flights and diverted aircraft. The new gate will serve as C-11, at the end of one of the current breezeways. The $900,000 project is funded by the airport's capital fund - and should be complete in October. 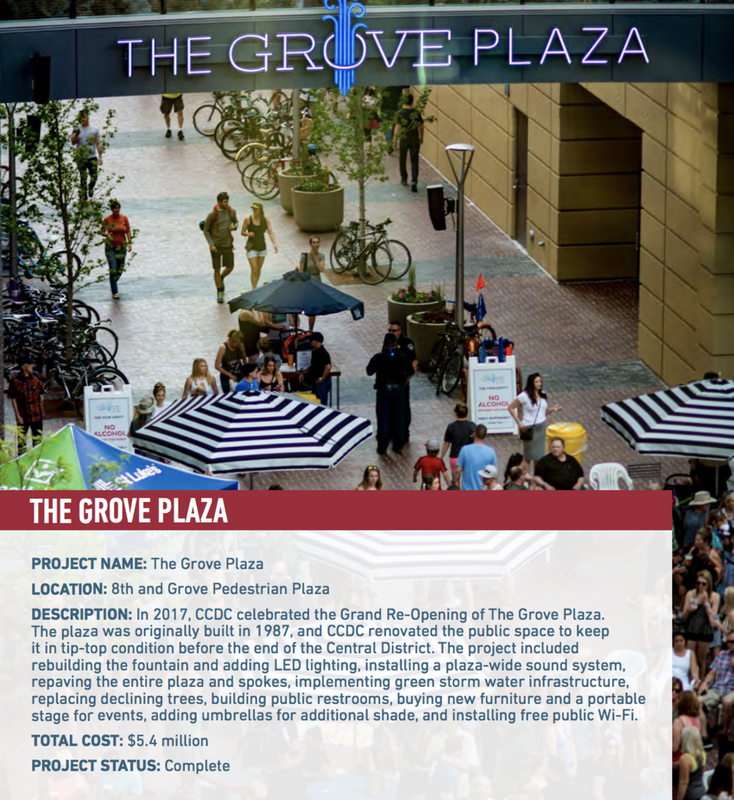 With update to Capital Terrace retail, what will happen to the garage? 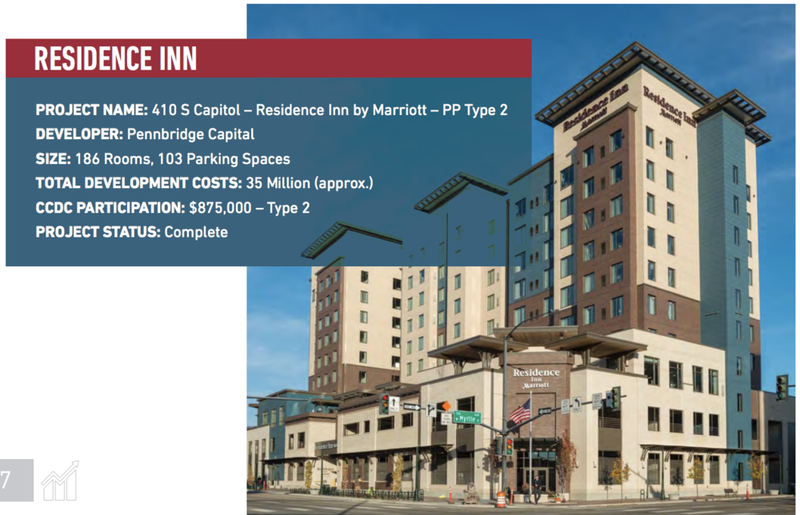 Last month, BoiseDev reported the retail portion of the dated-looking Capital Terrace building would get updated. The building actually has two owners - with the retail areas under the ownership of Hawkins Co. - they are behind the main building update. But the parking garage itself is owned by the Capital City Development Corporation. That agency actually renamed the garage with its new naming scheme - it will soon be known as the Capitol & Main garage. 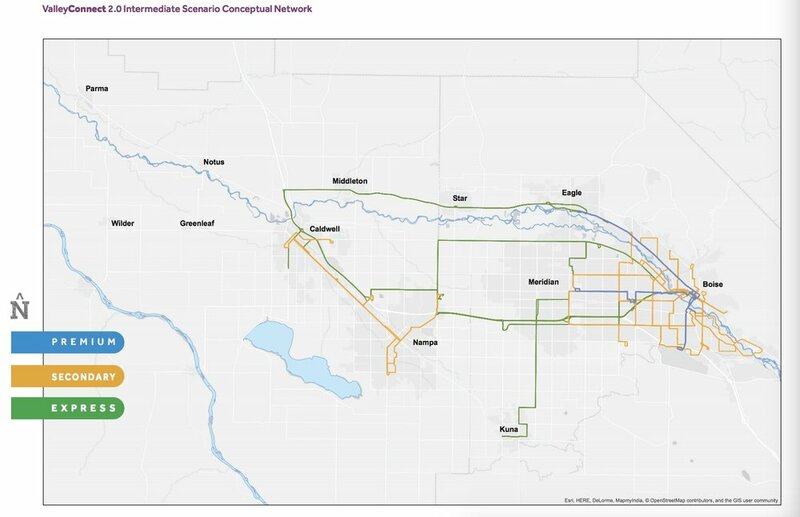 CCDC officials tell BoiseDev they may do some "affordable improvements" in 2018 or 2019. That won't be a renovation or major revamp like is happening on the retail part of the building, but could include new paint and what they call minor affordable improvements. Officials with CCDC say they are happy to see the upgrades from Hawkins Co., and also appreciate the former owners the Roper family for taking a chance on building the retail in the first place during the 1980s.